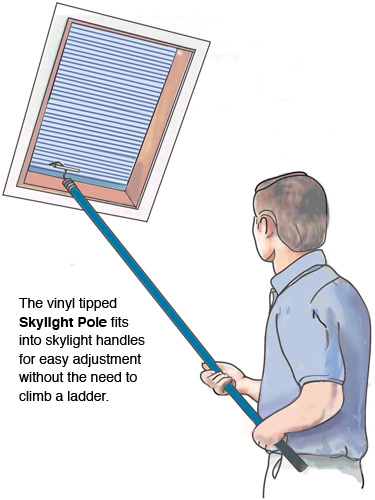 With the Skylight Pole you grasp the sky light handle to easily pull it down for adjustment of shades. The skylight pole can also fit under the handle to push the shade up. A soft vinyl tip protects the shade's handle & bottom rail from scratches. 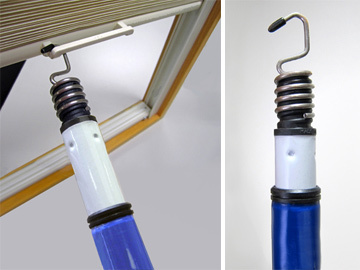 Padco Skylight Pole comes with the hook attached to an extension pole. 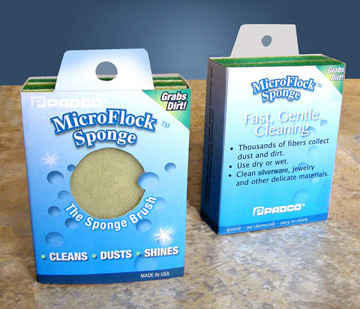 Padco's new MicroFlock® Sponge has thousands of fine fibers per square inch to gently scrub and clean delicate materials. 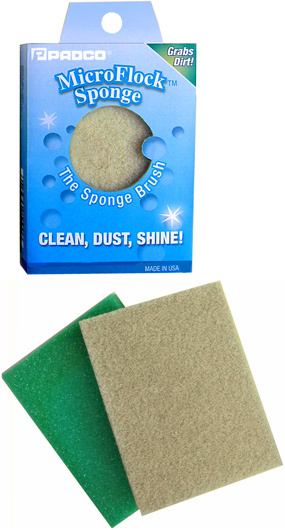 Used wet, the MicroFlock® Sponge gets into cracks and crevices gently scouring and cleaning. When used dry, the fine MicroFlock® fibers attract dust and dirt like a magnet. Great for buffing and shining too.